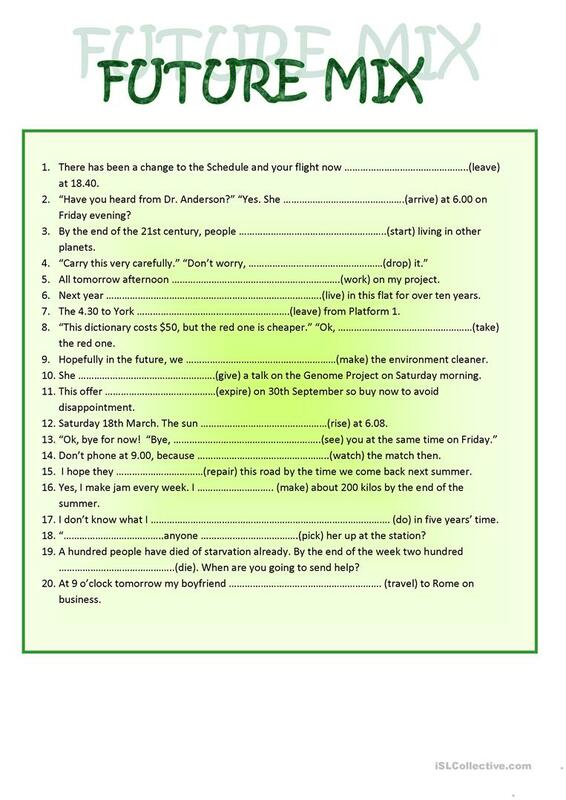 This worksheet includes future simple, continuous, perfect, present simple as future, be going to etc.. I would recommend this sheet after having practiced future tenses separately. This downloadable worksheet is intended for high school students at Intermediate (B1) and Upper-intermediate (B2) level. It is valuable for practising Future tenses in English.